SUNDAY, JUNE 17 – MARK YOUR CALENDARS SO YOU DON’T FORGET! Now that you know when Father’s Day is, we can focus on what to get the man who may have it all. Our best advice is to go see him; we’re confident he’ll love that gift. 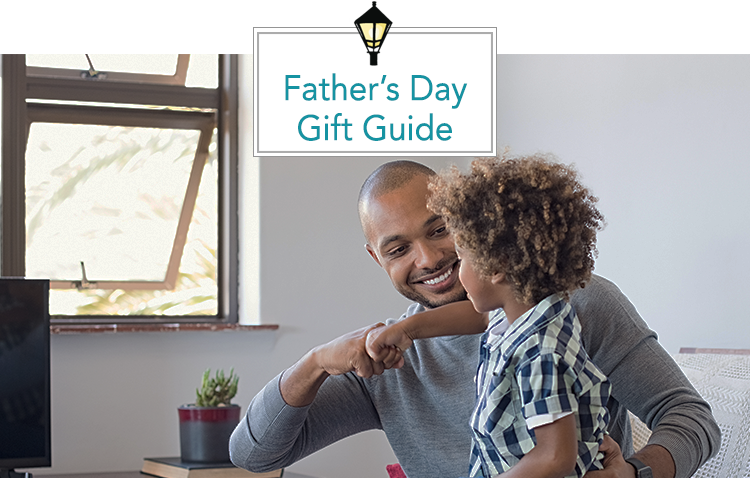 But, if you’re too far away or just want to sweeten the pot, we’ve got you covered with a great Father’s Day Gift Guide this year! If your dad is a health freak or is just trying to get back in shape, then a Fitbit is the perfect gift for him this year. He can track his workouts, heart rate, distance, calories burned, floors climbed, active minutes and steps. Best of all, he can sync all of his data to his phone, computer or iPad (another great gift idea). Find the perfect fit for him here. You probably have many memories of your pops hanging out behind the grill. Get him some meat that will honor that “best chef” apron. Omaha Steaks is offering a Father’s Day special featuring a T-Bone (a full Strip Sirloin and a hearty portion of tender Filet Mignon), as well as their signature fries and their most popular dessert, caramel apple tartlets. YUM. For just $99 (normally a $200+ value), order this delicious meal here. No matter how hip your dad is, he still has a lot of questions he needs answered. In case you’re not around to help, make sure he has someone just as knowledgeable as you! Introducing his new best friend, Alexa. With Amazon’s second generation model, Alexa can play songs, call/text friends and family, check his calendar, weather, traffic, and sports scores, manage to-do and shopping lists, control his compatible smart lights, thermostats, garage doors, sprinklers and more! Whether your dad is still dominating the softball leagues or just loves to work out in the yard, chances are he enjoys getting a good sweat in. Ensure that he stays cool with a fantastic towel from Mission. Their Enduracool instant cooling technology chills fabric surface temperature by up to 30° to help manage temperature on demand. They even have NCAA towels (looking at you LSU and Bama fans). If it’s good enough for Drew Brees, it’s good enough for Dad (especially for $17). Buy one here. We know your dad works hard to support his family. We also know how great a drink tastes after a long day at the office. Give your dad the gift of a drink that’s never watered down. Corksickle gives you one double old-fashioned whiskey glass and one silicone mold for freezing a wedge of ice into a glass. Pops will simply freeze water in the glass, and it will keep his cocktails cold from start to finish without diluting! Purchase one for less than $20 here. Two guesses about your dad: 1) He is proud of where he’s from 2) He likes to drink beer. That’s a big reason why the local craft beer scene is sweeping America, and what’s more local than brewing from your own home? That’s what your dad can do with this home brewing kit that includes brewing equipment and ingredients to brew a delicious IPA, including enough malt, grain, hops and yeast for your first batch and complete instructions provided in the included A Guide to Craft Brewing. Help dad become a brewmaster here. All of our dads may need a little help in the cool/hip department. Luckily, Warby Parker makes that incredibly easy and affordable. With sunglasses from $95 and eyeglasses from $195 and 40 options of both, there’s something that your dad will look great in. He can even get five pairs sent to his house so he can try on multiple pairs at once. Check out their full collection here. Or, shop locally with New Orleans’ own optical brand, KREWE. Being in the New Orleans, Baton Rouge and MS Gulf Coast areas, food is important to us. And dad. And with food down here comes hot sauce! That’s where the Fuego Box brings the fire! This monthly subscription will bring craft and small batch hot sauces right to your dad’s doorstep. In the words of their team, Pops can discover the tastiest hot sauces he’s probably never heard of! Happy Father’s Day. 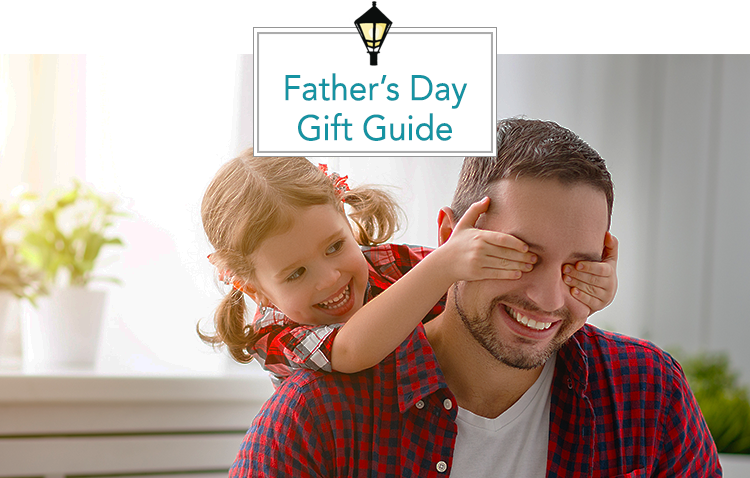 We hope this gift guide will make the dad in your life smile!